On Friday (April 12th) the Gaston County Police Department arrested Salvador Marquez of Charlotte on an outstanding homicide warrant from Cherokee County, South Carolina. 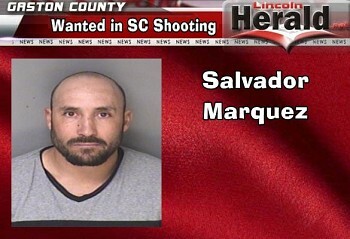 Marquez, who is 33, was jailed in the Gaston County Jail while authorities process his extradition to South Carolina. He was wanted for his involvement in a January 2018 shooting in Gaffney, South Carolina. Marquez is accused of shooting two men. The Homeland Security Charlotte and Greenville, SC, offices were instrumental in locating Marquez.